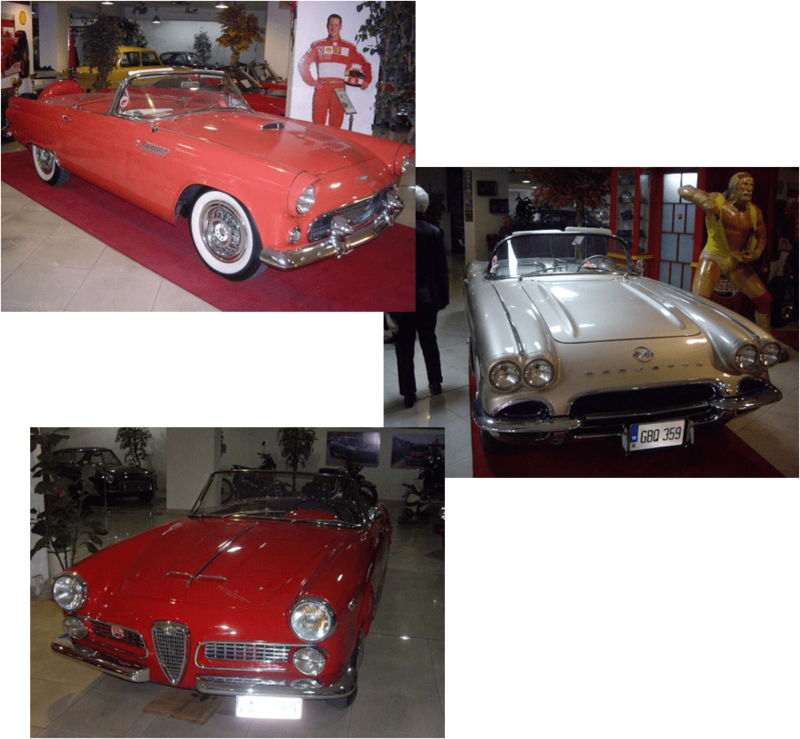 And so we moved on to the other attraction in Qawra, the Classic Car Museum. Here the petrol heads amongst us were able to indulge ourselves in big boys’ toys. It was also good to see the interest shown by the ladies even if some of this interest was directed towards the period costumes. 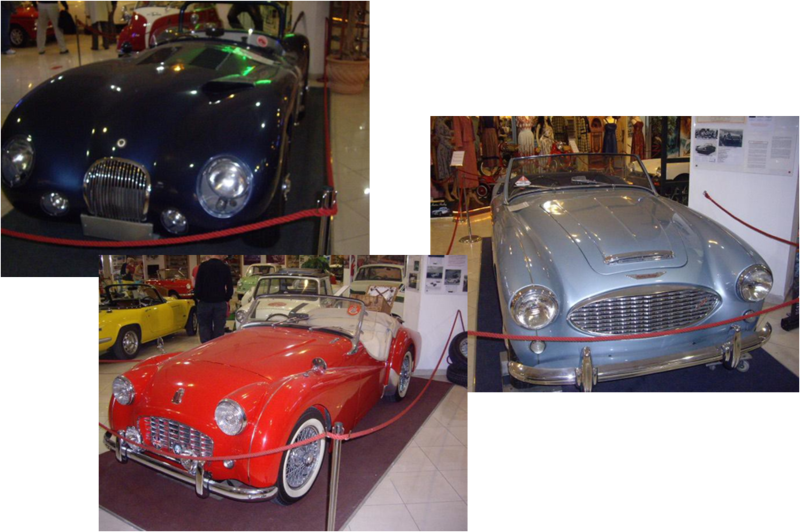 Three of the UK’s finest; a C-type Jaguar (left), the Austin Healey (below right) and the beautiful Triumph TR3. Being totally biased towards the Jaguar marquee I have indulged myself with the addition of this excellent example of the XK 120. Other countries have tried over the decades to produce iconic cars with some success. Here are a few examples from the USA and Europe. The Ford Thunderbird and Corvette Stingray retain their place in motoring folklore. Note the model of Don in his younger days next to the Stingray. 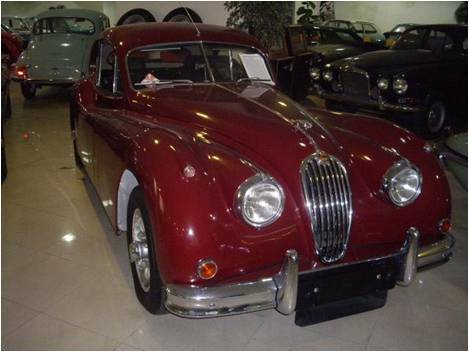 The Italians had their moments as illustrated by this fine example of a drop head coupé. 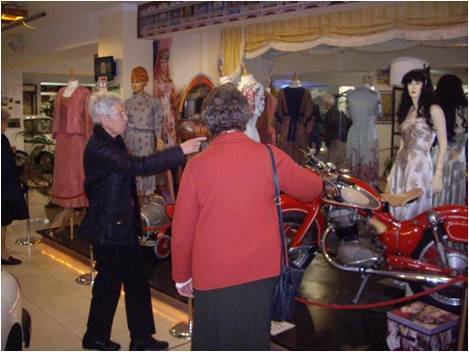 To close off this short photo visit of the museum here is a bit of nostalgia – it was after all a visit by the British Residents Association! 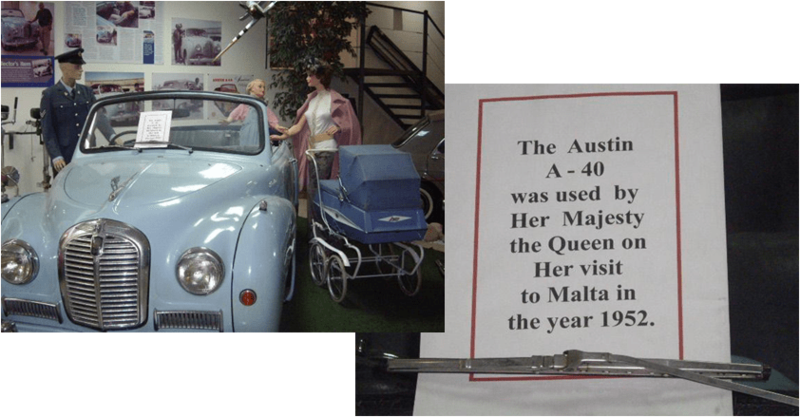 The car, the pram and the RAF uniform – all TRUE BLUE. Then back to our little island of Gozo after a day well spent and much enjoyed. Thanks for calling more atenttion to Hank Jones and his work. It is important to honor great artist who were so humane and selfless. The album you site is a treasure.